Award winning public tennis center located in Bicentennial Park. Full service pro shop and 19 outdoor hard courts. 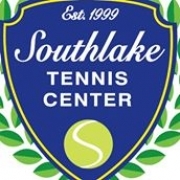 Southlake Tennis Center (STC), which opened in October 1999, is a USTA Facility of the Year, Texas Section QST Facility of the Year and 2012 TIA Large Facility of the Year. Located within Bicentennial Park in Southlake, Texas. A city-owned facility with 19 lighted hard courts, STC is the largest public tennis facility in Northeast Tarrant County. Open seven days a week, STC maintains a full schedule year-round with adult league play, a junior program for all ages and levels, private and group lessons, and tournaments.